Fall is a time of renewal and jumping back into routine, schedule, and a full family calendar. It’s also a great time to give your home a thorough cleaning as you prepare for the winter months. 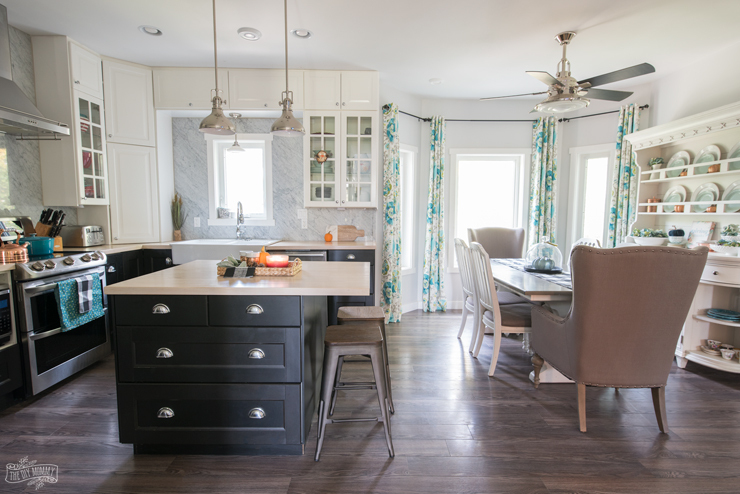 As much as I groan at the thought of cleaning, I know that I am so much more productive when I’m able to give my house a once-over, and that our family is able to function better when our home is more organized. 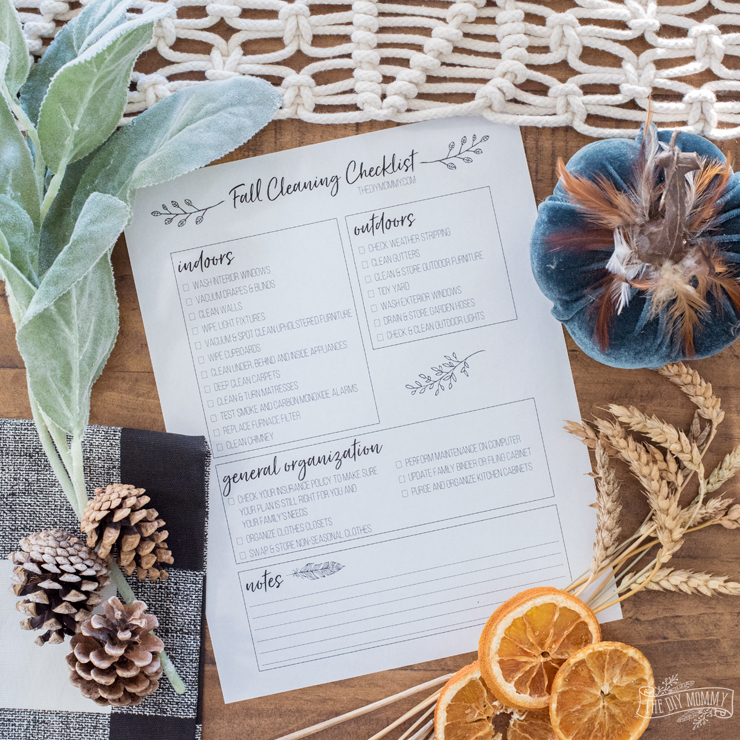 If you’re like me and need a checklist to help you get motivated to give your home a good cleaning for Fall, here’s a Fall cleaning & organizing list and free printable for you! Giving your home a good clean and organization session this Fall will help give you peace of mind as the winter season approaches. Another way to enjoy peace of mind this season is to ensure you have reliable protection for your home through home insurance. Our homes are our safe havens, but if accidents do occur a home insurance policy from Esurance will help protect you. You can even get a fast, free home insurance quote online while you’re working away at this Fall cleaning checklist! During the busy Fall season we’re also looking for ways to help us save money on our home expenses. Reviewing your home insurance policy is a great place to start. With Esurance, an online insurance option for Albertans, there are discounts available including The Home Safety Features discount! It rewards you with savings when you own safety devices like burglar alarms and smoke detectors. With these savings on your insurance policy, you’ll be able to save up for more organizing essentials for your home. Here’s a thorough home cleaning & organizing list to get you started this season, and you’ll find a free printable version of this list below. Download & print this Fall cleaning & organizing checklist as a free PDF! Disclaimer: This post is sponsored by Esurance. As always, all of the opinions here are my own. This is a great resource to use as a checklist. I will have to use it when I begin my fall cleaning in this month. Deep cleaning in the Fall is just as important. It’s a good idea to clean before the busy holiday time. Thanks for sharing! I loved reading this post about starting the season off on an organized note. Especially with little ones running around, it can be tough to stay on top of domestic chores, and the start of the fall is the perfect time to cross some of these items off my list. I also love the printable – it’s so cute and it actually makes me excited to get started! In order for me to do anything efficiently I need a checklist so I’ve downloaded and printed your checklist. I’ll be putting it to good-use soon enough. Thanks for the free printable Christina!